Katakana is used to write foreign words and sound words (onomatopeias) and, in general, to point out that something is usual. we can mark some characters with double quotes (”) or with a circle (°). we can follow some characters with a small ‘ya’ (ヤ), ‘yu’ (ユ), or ‘yo'(ヨ), e.g., the character ‘ka'(カ) combined with a small version of ‘ya’ sounds ‘kya’ (キャ). ‘te + yu’ (テュ) is ‘tu’, which is not a Japanese sound, so it doesn’t have a hiragana counterpart. ‘de + yu’ (デュ) is ‘du’, which is not a Japanese sound, so it doesn’t have a hiragana counterpart. Up to here, katakana is almost a mirror of hiragana. However, katakana has been further adapted to include many foreign sounds beyond the ‘tu’ and ‘du’ sounds already noted. The ‘u’ (ウ) with a ten-ten (ヴ) sounds ‘vu’. 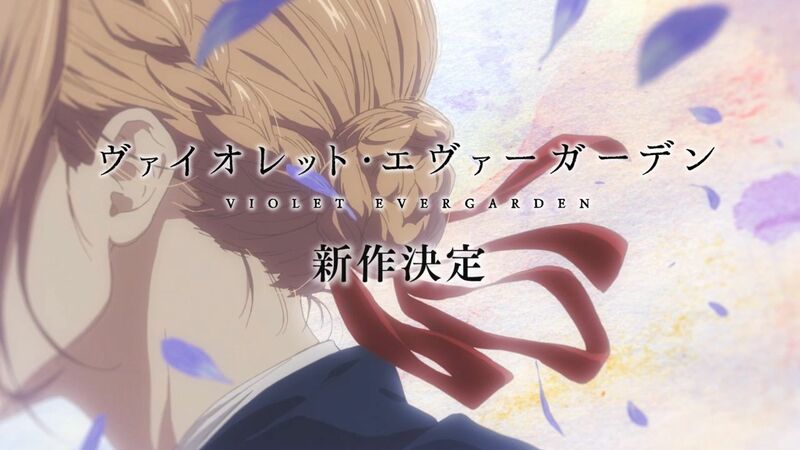 The dot between ‘violet’ and ‘evergarden’ separates the first and last names; Japanese has no spaces so without the dot, we could not parse the sequence of characters. Many of these Japanese words are borrowed from English, but this does not mean that they necessarily sound like their English counterpart, e.g., the word for T-shirt is Tシャツ (tiishatsu), pronounced ‘tee-ee-shah-tsu’, very different from the original ‘tee-shirt’ sound. Some words do sound about the same, though, e.g., ‘piano’, ‘pen’, ‘wain’ (wine), and many others.